WPL Industries BV manufactors a complete range of weighing indicators with accurracy up to 10.000 counts. Designed and manufactored in the Netherlands! Platform and floorscales WPL Industries BV produces a number of different platform scale. 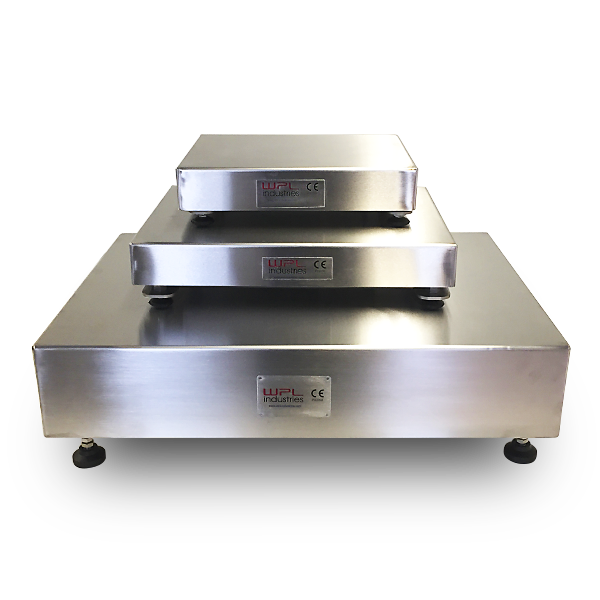 The range of platformscales and floorscale reach up from 1kg up to 3000 kg. WPL Industries BV have developed a motion compensated range of scales made in the Netherlands specifically for the fishing Industry. WPL Industries BV has a complete range of load cells for common weighing task in stock. 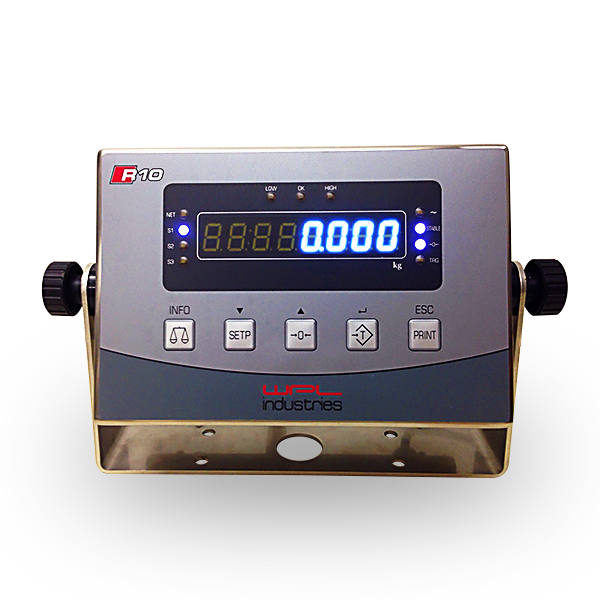 Our check-weigh devices have been especially devised for several applications in different industries. 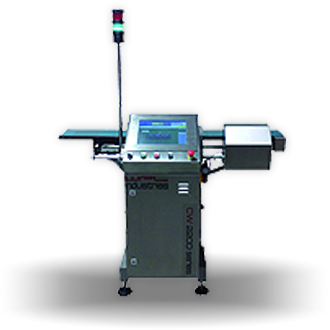 The CW2200 and CW3300 series can be used to check product weights end reject products based on minimum weight or according to e-weigh directives. WPL industries has several solutions for gravimetric filling. There is a lot of experience with filling software and weighing electronics for the food and chemical industrie. There are many benefits to be gained from fixed-weight batching. It keeps giveaway as low as possible when packing products and the exact target weight is delivered to customers. 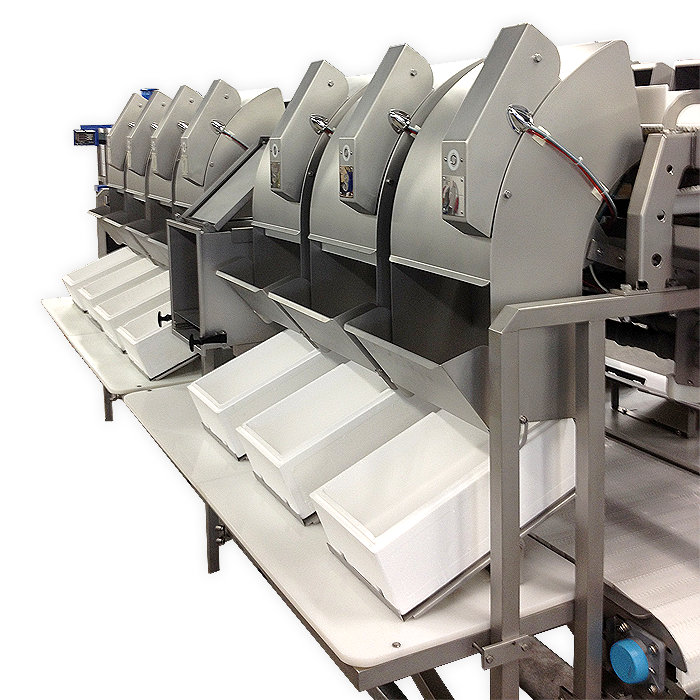 The WPL-Industries product range covers a complete range of weighing, sorting and labeling equipment for the modern business. In our factory we build both standard and tailor-made machines and solutions to cover your needs. WPL Industries BV have developed motion compensated scales for the fishing Industry. Our motion compensated marine scales incorporate motion and tilt compensation for weighing at sea, and due to the automatic gravitaional zone correction in the firmware, you'll no longer need to calibrate your marine scales whilst out at sea. The WPL-Industries product range covers a complete range of software, weighing, sorting, labeling and product handling equipment for the modern business. In our factory we build both standard and tailor-made machines to cover all your needs. 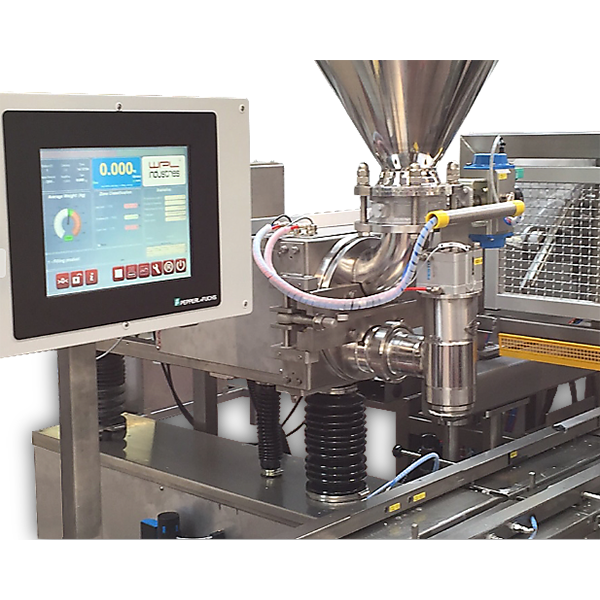 WPL’s CW range of Dynamic Checkweighers are easy to use with intuitive full colour touchscreens and icon-driven menus as well as offering fast inspection and product set up, automatically optimising the systems for each product type allowing you to learn and switch within minutes. Our machines are made for products ranging from small and light sachets right through to Heavy weight boxes. 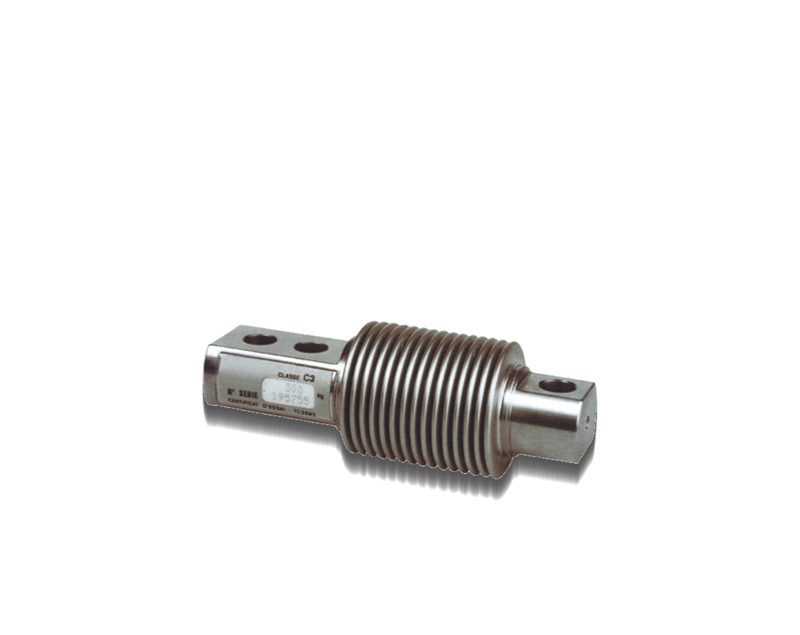 Designed and manufactured in the Netherlands, the range of WPL indicators and transmitters reached a high level of performance with unparalleled technical features, fitting in perfectly into any industrial processes. With this new range of indicators, WPL Industries has ambitious goals to offer a product line with an excellent quality / price ratio, able to satisfy the demands of international markets. Also to create a unique design and to increase the number of functions available by maintaining ease of use and providing user information. WPL Industries provides assistance to preventive maintenance and system monitoring, while taking into account the environmental impact. Beyond technical performance alone, the technologies used were chosen because they improve ergonomics or limit the impact on the environment. It is a complete range of indicators that provides weighing information to management or automation applications via modern channels (USB, Ethernet, Profinet…) and with easy implementation. WPL Industries BV (Netherlands) - WPL Industries launches a software package to control the R10 indicator series over a wifi connection locally or over the internet. The web application allows easy, fast and safe access, from anywhere, to R10 series of weight Indicators connected to scales and platforms. The marine weighing plaforms from WPL Industries BV are designed to meet the strongest requirements for operating at sea. Accurracy, robust construction and ease of use are at the highest importance. The build in motion compensation for use at sea take care of weight fluctuations caused by waves and vibrations. The scales can be connected to the R10 range of indicators. Build in reporting and statistics as well as printing is available and can be tailer made. 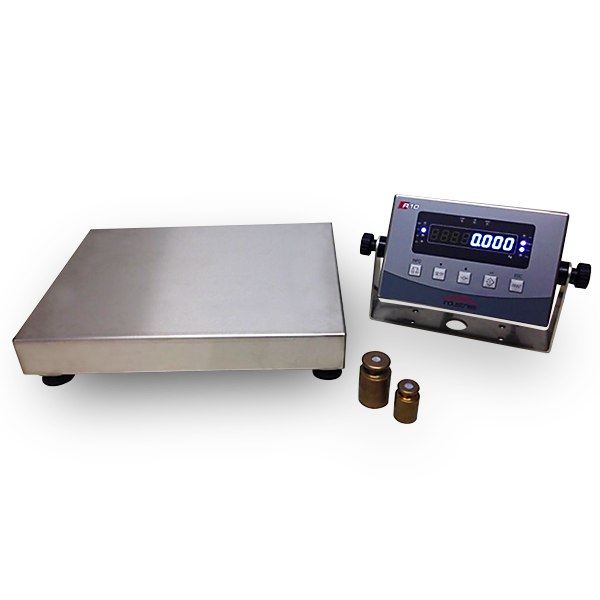 WPL Industries has developped a complete new line of professional microcontroller based weighing indicators .